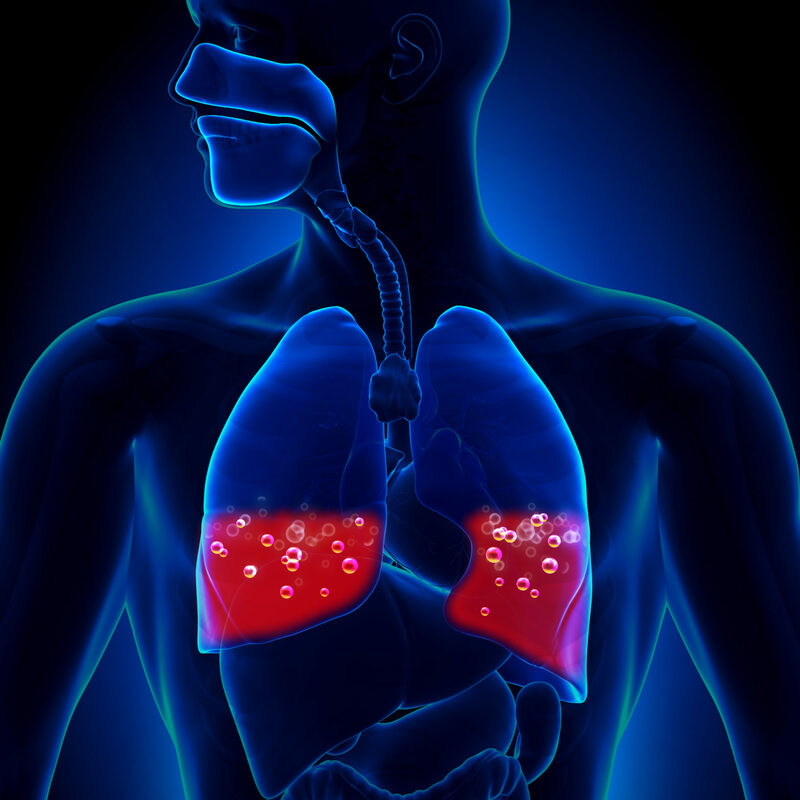 Idiopathic pulmonary fibrosis (IPF) is a specific form of chronic, progressive fibrosing interstitial pneumonia that primarily occurs in older adults. Its cause is unknown and its prognosis is poor.1 Although rare, the public health impact of IPF is significant in terms of health care costs and resource utilization. Furthermore, its incidence and mortality are increasing and it is expected to become more prevalent as a result of the aging population.2 The 27th European Respiratory Society Congress, which was held on 9–13 September 2017 in Milan, Italy, included a number of sessions highlighting the latest advances in IPF. Roche announced new data on pirfenidone for IPF. A retrospective, post-hoc, analysis of the pivotal CAPACITY and ASCEND studies suggests that treatment with pirfenidone may be associated with a reduction of multiple progression events (i.e. a decline in FVC or 6-minute walk distance, and respiratory hospitalisation) and a reduction in mortality as well as reduction of deaths after one or more progression events.5 In another study, involving real-world data from 1,009 European patients, 741 patients experienced adverse drug reactions (ADRs) but no new safety signals were observed.6 Dose adjustment may avoid the need for treatment discontinuation in patients who experience ADRs. 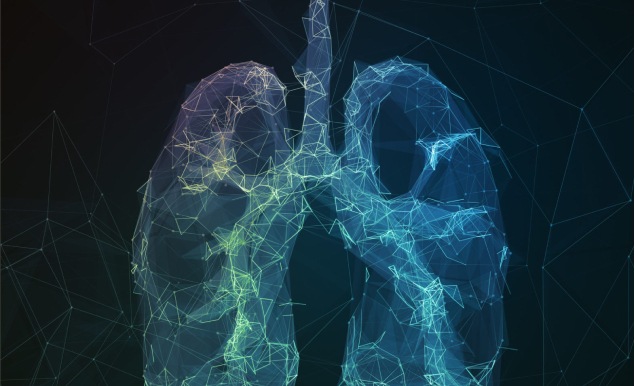 While these antithrombotic therapies delay the loss of lung function, they do not stabilise or reverse fibrosis, and therefore other approaches are being investigated in the treatment of IPF. FibroGen presented positive results from their phase IIb randomised, double-blind, placebo-controlled PRAISE study on pamrevlumab, a proprietary, first-in-class antibody targeting connective tissue growth factor (CTGF).9 Pamrevlumab shows efficacy in preserving lung function, as measured by FVC as percentage of predicted, as absolute FVC and as FVC decline of ≥10% or death. The all-cause mortality in the pamrevlumab group was reduced by 51%. In a sub-study, pamrevlumab combination therapy with nintedanib or pirfenidone was found to be well tolerated.9 Pamrevlumab appears to be a promising therapeutic option for IPF that warrants further investigation. The Jun N-terminal kinase (JNK) inhibitor CC-90001 (Celgene) is also being evaluated in patients with IPF. In a phase Ib trial (n=16), CC-90001 was well tolerated. All treatment-emergent adverse events were mild or moderate, and no serious adverse events were observed. CC-90001 has also demonstrated promising efficacy: 83% of patients in the 200 and 400 mg dose groups showed increased FVC relative to baseline at 12 weeks. In addition, plasma levels of tenascin C, a marker of fibrosis progression, decreased from baseline to week 12.10 CC-90001 is currently being tested in a phase II trial for efficacy in patients with IPF. In summary, long-term and real-life data presented at ERS have confirmed the safety and efficacy profiles of pirfenidone and nintedanib. The use of these anti-fibrotic drugs seems to reduce mortality from acute exacerbation. Early data also suggest that the two are well tolerated in combination although further data on their efficacy in combination is needed. Finally, novel anti-fibrotic approaches including anti-CTGF and anti-JNK agents have shown promise in early phase clinical trials. These treatments are changing the treatment landscape for IPF, improving outcomes in patients with an otherwise untreatable condition. 1. Raghu G, Rochwerg B, Zhang Y, et al., An official ATS/ERS/JRS/ALAT clinical practice guideline: treatment of idiopathic pulmonary fibrosis. An update of the 2011 clinical practice guideline, Am J Respir Crit Care Med, 2015;192:e3–19. 2. Ley B, Collard HR, Epidemiology of idiopathic pulmonary fibrosis, Clin Epidemiol, 2013;5:483–92. 3. Kreuter M, Woo Song J, Huggins JT, et al., Concomitant medications and efficacy of nintedanib in patients with IPF, Presented at: European Respiratory Society (ERS) International Congress, Milan, Italy, 9–13 September 2017, Abstract # PA4891. 4. Richeldi L, Kolb M, Azuma A, et al., FVC decline over 1 year predicts mortality but not subsequent FVC decline in patients with IPF, Presented at: European Respiratory Society (ERS) International Congress, Milan, Italy, 9–13 September 2017, Abstract # PA4892. 5. Nathan SD, Costabel U, Glaspole I, et al., Incidence of multiple progression events in patients with idiopathic pulmonary fibrosis (IPF) in the pooled CAPACITY and ASCEND trials, Presented at: European Respiratory Society (ERS) International Congress, Milan, Italy, 9–13 September 2017, Abstract # OA3401. 6. Cottin V, Koschel D, Guenther A, et al., Late breaking abstract: Long-term safety of pirfenidone in a real-world setting: final results from the prospective, observational PASSPORT registry, Presented at: European Respiratory Society (ERS) International Congress, Milan, Italy, 9–13 September 2017, Abstract # PA2806. 7. Flaherty KR, Fell CD, Terrill Huggins J, et al., Late breaking abstract: Safety of combined pirfenidone (PFD) and nintedanib (NIN) in patients with idiopathic pulmonary fibrosis (IPF), Presented at: European Respiratory Society (ERS) International Congress, Milan, Italy, 9–13 September 2017, Abstract # PA2805. 8. Wuyts W, Grutters JC, Kreuter M, et al., Late breaking abstract: Pharmacokinetics (PK) of nintedanib with add-on pirfenidone in patients with idiopathic pulmonary fibrosis (IPF): results from INJOURNEY, Presented at: European Respiratory Society (ERS) International Congress, Milan, Italy, 9–13 September 2017, Abstract # PA907. 9. Richeldi L, Gorina E, Raghu G, et al., PRAISE, a randomized, placebo-controlled, double-blind Phase 2 clinical trial of pamrevlumab (FG-3019) in IPF patients, Presented at: European Respiratory Society (ERS) International Congress, Milan, Italy, 9–13 September 2017, Abstract # OA3400. 10. Greenberg S, Horan G, Bennett B, et al., Late breaking abstract: Evaluation of the JNK inhibitor, CC-90001, in a phase 1b pulmonary fibrosis trial. Presented at: European Respiratory Society (ERS) International Congress, Milan, Italy, 9–13 September 2017, Abstract # OA474.